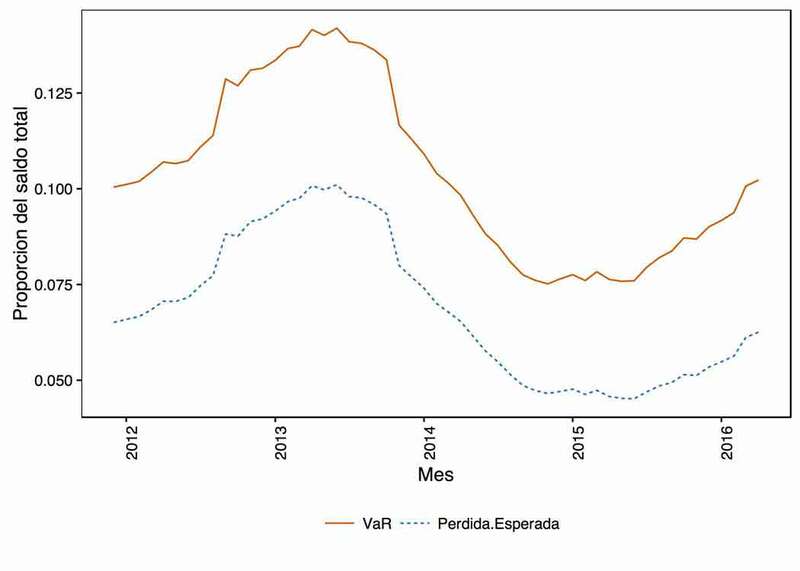 Colombia´s derivatives market is in a developing phase. The most traded derivative is the COP/USD NDF, which has grown steadily in traded volume, to the point where it is possible to trust the market liquidity when actively trading future forex positions. With a monthly volume of over USD$35 billion, it is an example that new derivatives are trying to follow, driven by the participants and exchanges. 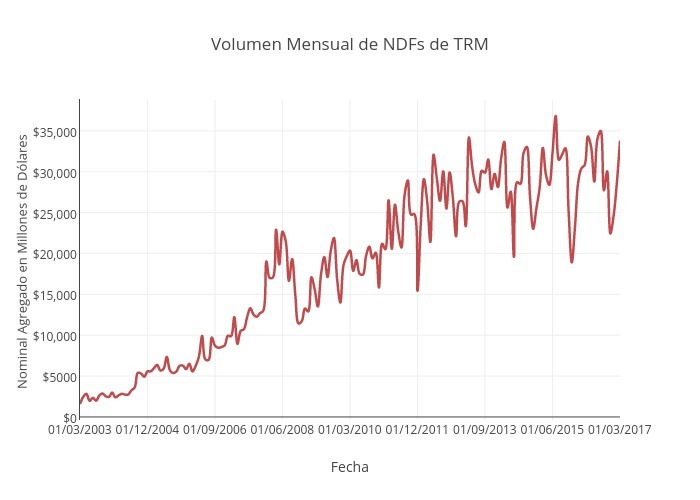 Source: Banco de la República. www.banrep.gov.co. 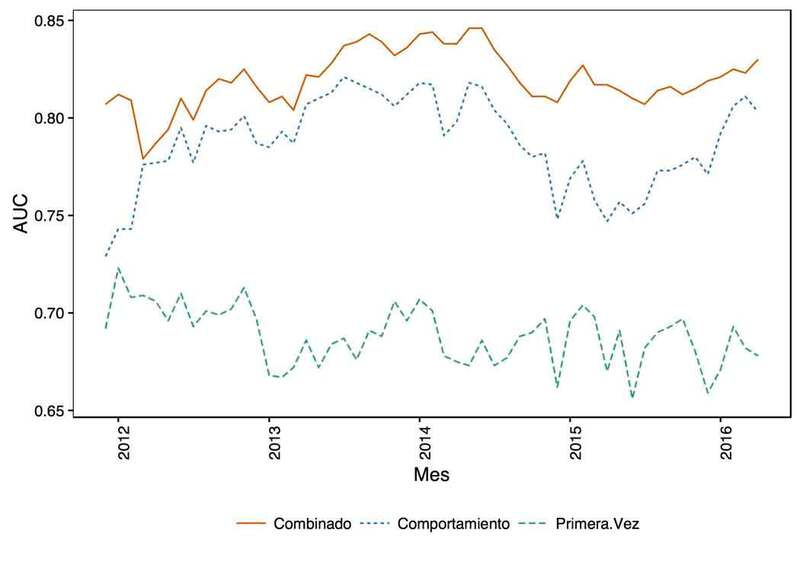 The BVC (Colombian stock exchange) has taken the lead in the development of standardized derivatives, giving priority to the TES futures, but also including products with underlying assets in stocks, indices, IBR swaps, overnight interest rates and foreign exchange rates. 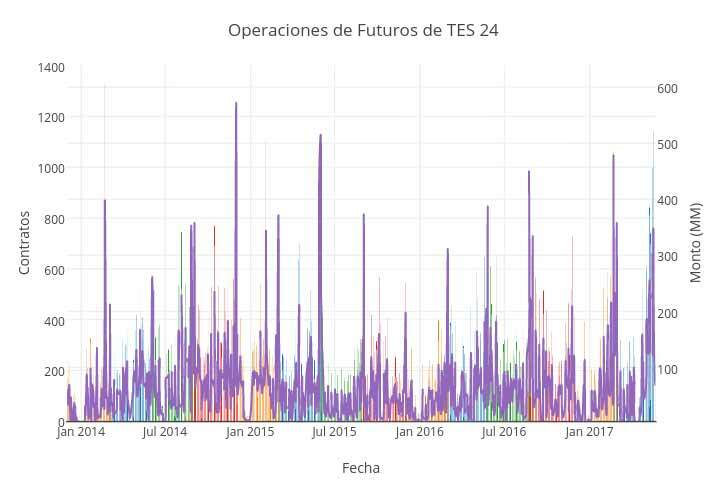 The following graphic shows the time line of TES futures’ trading volume, which slowed down in 2013 but has recently shown robust signals of healthy dynamics. Detailed analysis of risk on both the individual and portfolio levels. Modern Portfolio Theory, developed by Markowitz in the 1950s, has become the cornerstone of decision making in financial institutions worldwide. Basic intuitive elements, that allow rational investors to maximize profitability while reducing risk, are incorporated directly into the construction of an Efficient Frontier. The Efficient Frontier is the set of portfolios that are not “dominated” by other portfolio, or those portfolios for which there is no investment alternative that simultaneously decreases risk and increases profitability. 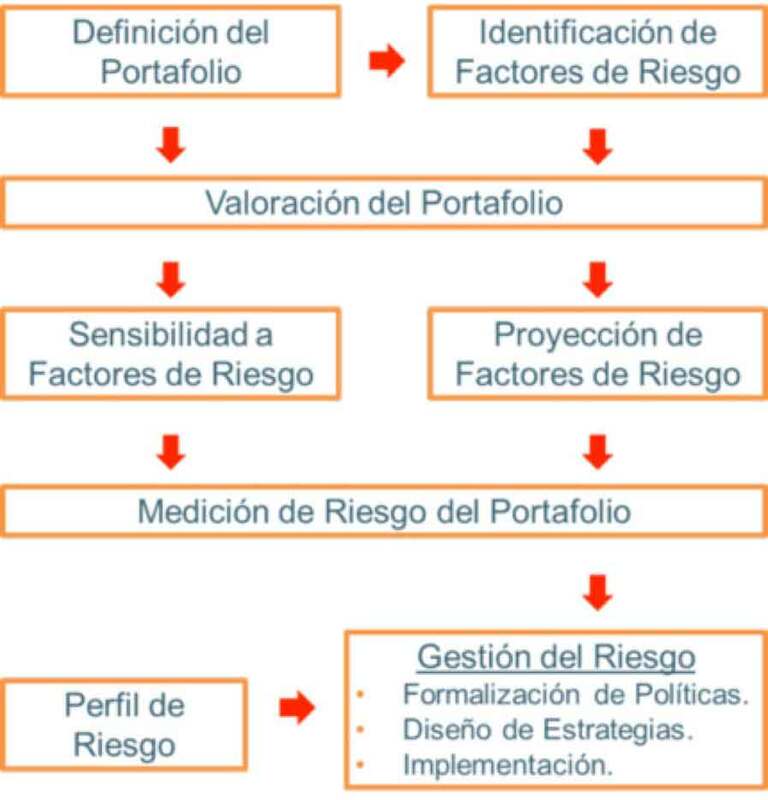 The academic sector, fostered by the financial industry, has developed portfolio management models intended to reduce empirically unjustified oversimplifications while elaborating on features that add value to the performance of portfolios managed with these techniques. Some of these features are: i) inclusion of constraints such as transaction costs and liquidity restrictions; (ii) risk measurement (Markowitz’ proposed standard deviation on returns can be complemented by other risk measures such as conditional VaR or cVaR); (iii) joint distributions of asset returns beyond multinormal distributions that better reflect empirical dynamics than multinormal distributions, which demands to consider the characteristics of the joint distribution beyond the two first moments; (iv) inclusion of experts’ views in order to develop subsequent distributions by means of bayesian techniques (as the Black-Litterman model); (v) sophistication of historical analyses of returns and inclusion of other sources for calculation of expected returns. Risk measure selection for portfolio optimization (volatility, VaR, cVaR, Omega, Maximum Drawdown). 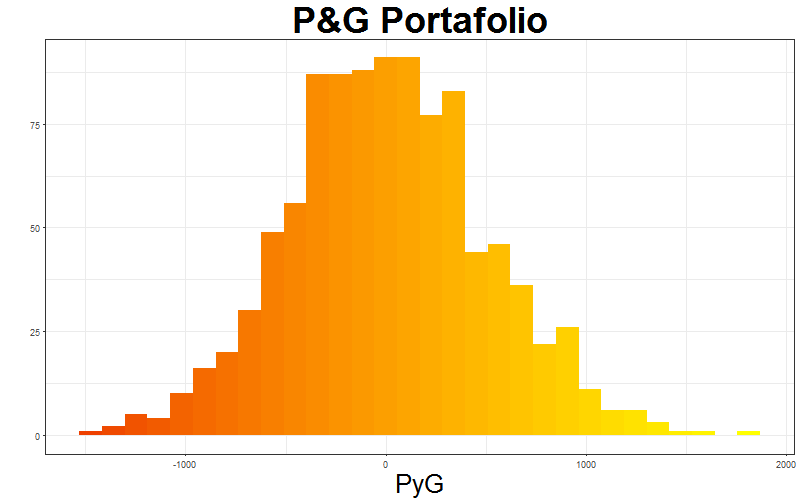 Risk aversion level for the selection of a portfolio on the Efficient Frontier. Selection of a benchmark on which to build portfolios that replicate returns, volatility or both, while minimizing the tracking error vis-à-vis the benchmark. Selection of the desired level of leverage. Inclusion of views from analysts or from our clients themselves through bayesian statistics. Optimization of the number of assets or sectors that our clients want to be exposed to. Stability in the portfolio rebalancing in order to minimize transaction costs and thus attain the aforementioned objectives. Real time tracking of portfolio performance with automatic customized alerts (SMS, email). Risk Quantification in Financial Markets. 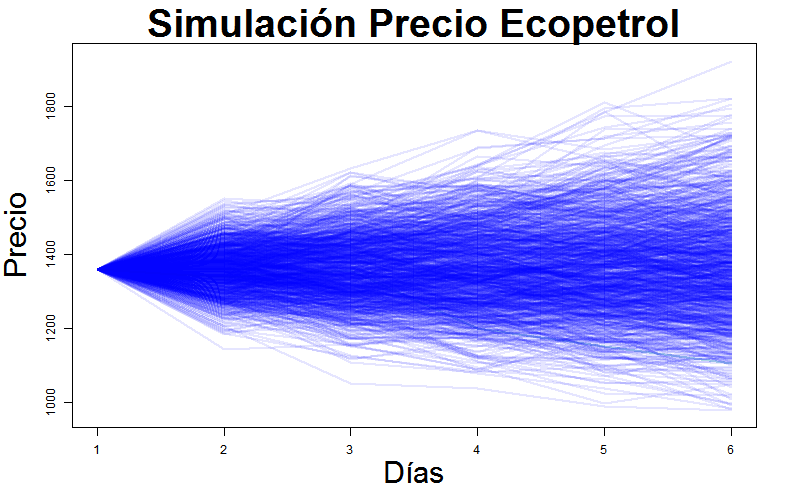 Using the HJM model – which allows to model the diffusion of the instantaneous forward rate -, we run 1000 simulations for a 5 day period for the TES yield; a similar simulation, based on econometric models is done for the Ecopetrol stock price. 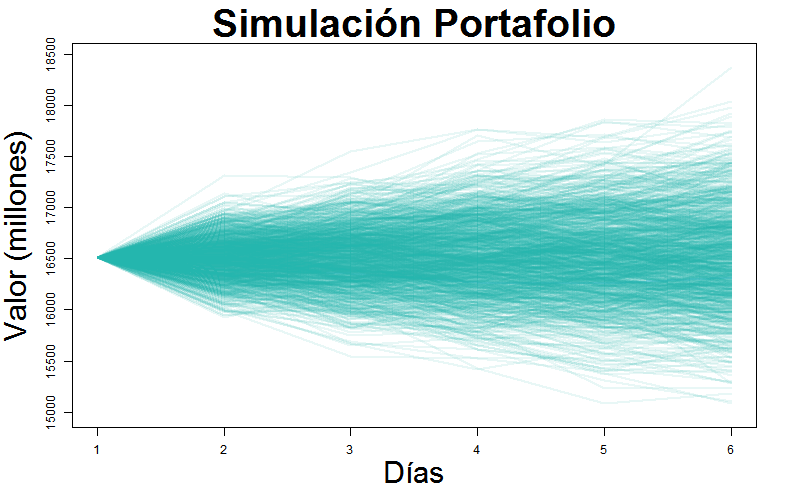 From this result, the 5 day P&L distribution for 1000 simulations is established. The direct sum of each VaR and the portfolio VaR isn’t the same because of the correlation between assets, which ultimately generates diversification profits for the portfolio. Quantil offers services for the quantification and management of risk, and also provides advice in optimal asset allocation. Quantil offers technical advice on market risk analysis for companies with exposure to market variables through commodities or exchange rates, with the objective of designing hedging strategies through the implementation of a Hedging Policy, allowing to formalize the decision-making process. It is imperative to emphasize the importance of a disciplined scheme supported on the building of corporate government bodies. These groups may benefit strongly from Quantil’s analyses. Portfolio Definition: This can be done with EBITDA, Cash Flows, and Net Profit Before Taxes. Every scheme has its own characteristics that must be analyzed. Risk Factors: Market variables affecting company results. Portfolio Valuation: Determine valuation details and analysis horizon. Sensitivity: Exposure of a company results to risk factors. 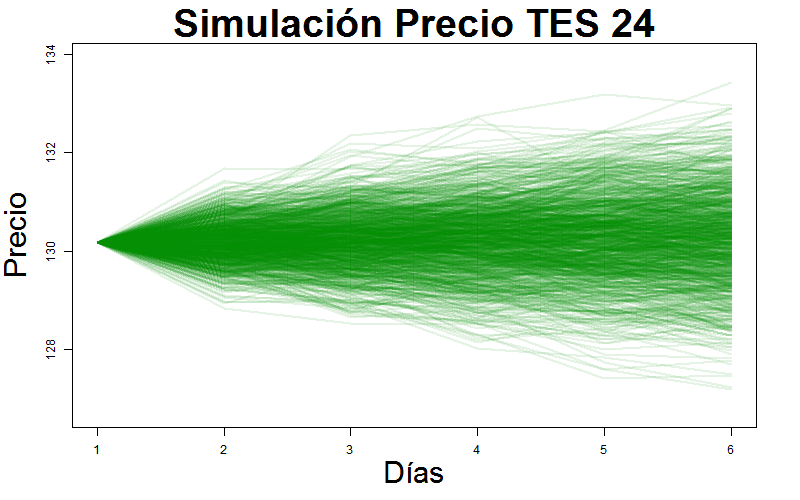 Factors Forecasting: Use of econometric and stochastic diffusion models to simulate the joint evolution of market variables on the basis of the distribution defined for the models. Risk Quantification: Risk measurement of the results of a company for further analysis, supervision and reporting to senior management. 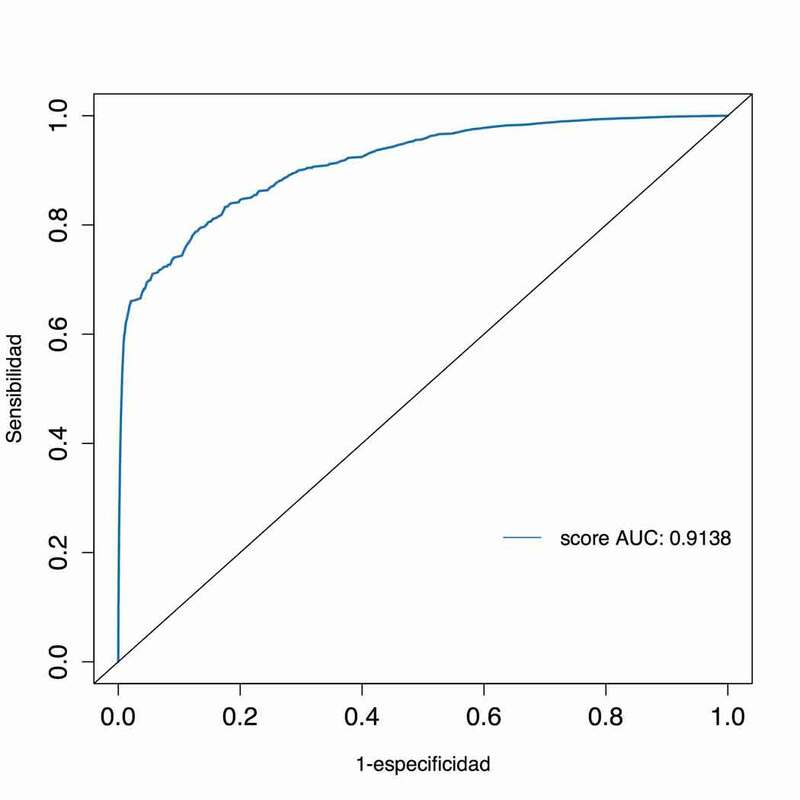 Risk Profile: Quantification of a company’s preferences, in terms of the mean-variance space. Risk Management: Design and implementation of a Hedging Policy that establishes risk tolerance, assigns functions, determines operative issues, and frames the design of a Hedging Strategy. This strategy will be mindful of the search for efficiency in the aggregated portfolio (results with and without hedging), following the guidelines set forth in the Policy. Risk management is essential for financial institutions and insurance companies maintaining optimal solvency ratios. Scoring models are one of the main inputs for risk management. These predict the probability of an event that affects the capital flows of businesses. In the case of financial institutions, this event happens when customers fail to comply with their payments, and for insurance companies, when the policy is made effective (i.e., in life insurance, with the decease of the policy holder). The probabilities yielded by these models are useful to classify individuals according to their level of risk (portfolio rating), to make decisions when providing loans, to develop preventive strategies in the subset of higher-risk individuals, and for calculating essential indicators for management, such as expected annual loss and value at risk (VaR), or unexpected loss. At Quantil, we develop scoring models for these institutions, using techniques of machine learning and data mining (neural networks, random forests, classification trees, logistic models, support vector machines, combinatory techniques, etc.). We select the most relevant variables using techniques such as backward/forward selection in logistic regressions, LASSO regressions, and thresholds of relative importance in the boosting of trees. We train existing models on available historical data in our clients’ data basis and calculate model fitting off-sample with indicators such as area under the curve ROC, backtest, H-index, and the Kolmogorov-Smirnov (KS) test, among others. The following graphs show an example of the first two indicators. The out-of-sample fitting allows us to watch the stability of the models and to determine when is it necessary to re-calibrate them. It is important to note that our developments consider the legal requirements and the of the Finance Superintendency in Colombia. Once the customer has reviewed the results and provided us with their feedback, the application of the models can include the development of a customer-tailored software that can be easily integrated into the information systems of the customer’s organization. The use of machines to automatize trading operations and investment strategies has become popular in the last years. It is estimated that more than three quarters of the transactions in the equity markets in the US are operated by robots. The benefits of taking advantage of this technology include the possibility of processing large volumes of data, a higher response capacity, and systematizing tasks that otherwise would be performed by members of the staff. In a broad sense, there are three types of algorithms: Algorithms of operation, that allow to execute large orders in an efficient manner. For instance, institutions with guaranteed VWAP (volume weighted average price) are interested in developing algorithms that can execute orders in a way that a favorable price is reached compared to said benchmark. Arbitrage algorithms allow to exploit inefficiencies in the markets or deviations from “fair prices.” Arbitration can be exact or statistical. For instance, when two exchanges offer essentially the same asset and there are price discrepancies, it is feasible to purchase the asset in the market that offers it by a lower price and to sell it in the other one, achieving a profit with no risk. In the other side, statistical arbitrage is the process of finding strong correlations and dependencies among assets that allow to anticipate the movements of one asset while monitoring the other one. For example, indices and ETFs follow in a deterministic way the behavior of their underlying assets, and in a close way, that of the sub-sets of assets representing their composition. Speculative algorithms are those that, based on a set of covariables (e.g. price, volume, other assets price, other assets volume, etc.) and calculations based on them (e.g. moving averages, differences, ratios, etc. ), seek to anticipate market movements to “buy cheap and sell dear”. For instance, it is possible to design a simple strategy where the robot buys a stock when the moving average of the last hour is higher than the moving average of the last four hours and sells the stock when the opposite happens. It is also possible to develop more sophisticated algorithms of “black box”, that apply to the covariables models of machine learning, such as logit models, support vector machines, bagging, boosting, random forest, etc. or their ensembles. Data sources are not restricted to market data: they may include news, articles and comments of users in social media treated by natural language processing, analysts or experts views, key variables, economic indicators, etc. Quantil is in the position of offering the design and implementation of algorithms adapted to the customer’s needs, in addition to new strategies according to investment needs. Speculative: directional, pairs, switches, spreads, butterflies, etc. Derivatives vs underlying: e.g. 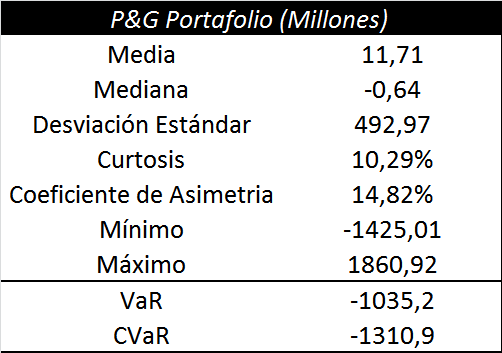 TES, stocks. Liquidity Promotion: seeks to satisfy restrictions of bid-offer spreads and of time making markets. Market creation. Local market: TES, stocks, COLCAP, standardized derivatives (futures: COLCAP, stocks, TES, TRM). External market: ETFs, stocks, ADRs, standardized derivatives.